Select Titles now available as Download To Own! Buy Video-on-Demand Credits and Save! 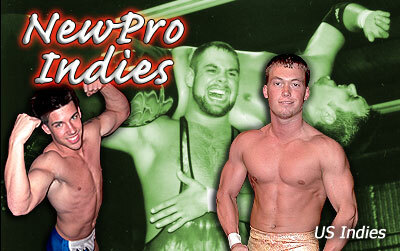 NewPro brings back all the great holds, classic moves and dramatic action that made old-school pro wrestling great! From New England to Olde England, from Alabama to Ireland, we bring you exciting athletic pro wrestling action featuring mostly light, middle and cruiser-weight wrestlers, serious established talent and high-flying future stars.